In cases of email scam, the fraudsters hacked into the victim's email account, checked the victim’s business correspondence with business partners. They sent an email to the victim using the same or similar email account of his business partner and claimed that the payment bank account had been changed who further requested the victim to deposit the payment for goods into the fraudster’s designated bank account. 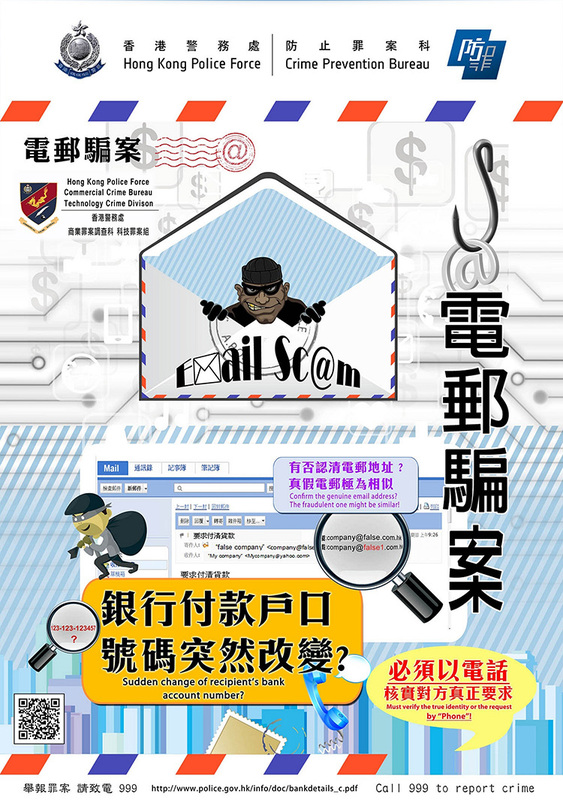 Police appeal that if you receive any suspicious emails, you should confirm the identity of the purported business partners or the authenticity of the requests by means of telephone before remittance so as to prevent from being deceived.